If you want to get a CBT (Compulsory basic training) license (up to 125cc), or to take the full motorcycle license then this post is for you. We are a motorcycle training school based in North London and our aim is to teach you how to ride a motorcycle safely. We are client centered and we have a great training area, facilities and classrooms suitable for all. We are authorised and regulated by the Driver and Vehicle Standards Agency (DVSA) and fully accredited by the Motorcycle Industry Association (MCIA). If you are not confident, or you don´t feel safe on the road we can help you to build a better biker in you with a FREE 1-2-1 course in conjunction with Transport For London (TFL) in order to get you safer on the road. In other words, it means practicing on the road for free with an instructor. We are pleased to offer you extra training for free in conjunction with Transport For London. Our training area is great and large enough for you to practice and learn. Our classrooms are suitable and we have all the aids to help you go through your license. DAS Mod1 students and bikes. Full class, look at their smiles, they all got their CBT. One of us doing what we do best. To teach!!!! And here is how we do it!!!!! … Or if you just did your training with us feel free to leave your feedback in the “Leave a reply” area at the bottom of the post!!! CBT is very useful for getting training for person so that he is safe while driving or riding on the roads. The CBT school was very good and the instructor was really impressive. He gave us really good training about the highway codes, safety and about the motorbike and it’s necessary kit. i have got a lot of information and did a lot of practice that i am now able to ride the motorbike on the public road. The instructor gave us all the tips regarding safety and about the highway codes. Thanks for being a good Instructor! Thanks Danyal, it’s always a pleasure to teach and to have a class where all learn and to see students like you putting all the techniques in practice on the road. Well done today, very good riding level. Congratulations!! Best place for CBT and other motorcycle training. The supervisors are helping and very warm welcoming. i had best experience here, spend a very valuable time with them and learn alot of things. 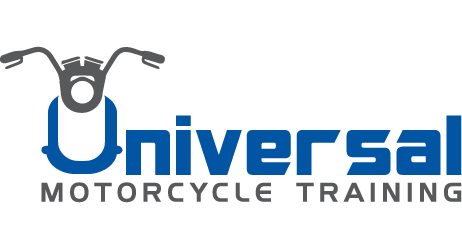 Thankyou to universal motorcycle training. Thanks for your feedback. Very good riding ability, congrats!! Thanks Andrei. Today was the beginning of a new stage in your life… let’s develop it further!!! Well done on the CBT!!! I had J.Gaspar as my trainer, and i couldnt have asked for a better trainer. He was super kind and had a great sense of humour, would never critisize if you did something wrong but just tell you that you would need to improve in that aspect. While doing the test he was very clear with instructions and did a great job in explaining what was needed to do to pass. I will definietely recommend him to anyone trying to get their CBT licence as he does a great job.!!! Thanks for your feedback Rui, it was a pleasure delivering you the cbt. You listened, practiced and learned well all the basics in order to be safe. Keep riding safely and in no time we will see you back for your A1/A2 or full license. Best regards to Fidalgo as well! Trained in a extremely friendly environment and qualified instructors. Greetings all, I was born in 1976 in Lisbon, Portugal and I am living in London U.K. since 2005. I discovered the world of motorbikes when I was 16, and since then I was never able to quit riding. I am currently a motorcycle instructor working for a motorcycle school in London, teaching and helping out new riders to become safer on the road. I have done a few motorbike trips and I had the idea of a blog a while ago but never got round to do it. This is my first blog and I am not an expert in the art of blogging so there is a possibility that you might find a few mistakes. I will try to do it the best I can covering other aspects about the world of motorcycling and travelling rather than write a simple road diary. Let this be the book about my biker stories and trips and be a source of inspiration for all out there reading my blog!!! !